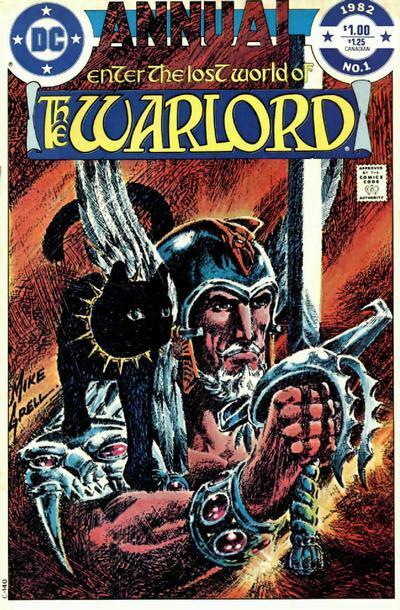 Mike Grell writes and draws this extra length tale that sees Morgan and Shakira run into a princess and her servant who have found themselves in a bit of trouble. So Morgan helps them out of course and decides to join them on their travels – at least for a little while. This was one of Grell’s better stories featuring our hero that had just the right amount of action and comedy to make it a very captivating and rollicking tale. There was nothing original and nothing new to make it all that exceptional, just solid storytelling from a master of the game. It is almost impossible not to have a fun time when Travis Morgan is having one for when he is in good spirits; he is a lot more playful and very witty. Even more so, when Shakira is in a good mood it is usually quite hilarious and here, she is that and more. Maybe it is the cat in her, but Shakira can be pretty vindictive when she wants to be and either she likes you or she simply does not. As such, the poor princess of this tale, who is fairly self-centered and rude, finds herself in Shakira’s crosshairs. It is a spot that nobody wants to find themselves in and it is hard to remove yourself from that position once you are in it. The rest of the book finds the group getting themselves into various forms of trouble as they make their way to where the princess needs to go with a lot of action against both creature and man, not to mention keeping the laughs going as they do so. It would have been nice to see a few more tales such as this one, those not burdened by continuity, with less drama and more lightheartedness. It is not Grell’s best story of the Warlord, but it ranks up there among them.